Over the past 30 years, the term “Modular Building” has gone through several phases. To us, the term is nearly meaningless because of the diversity of definitions. Our business and interest lies in sectional buildings – that is, buildings designed as a whole, but built so that sections of the building are factory-produced, transported to the site, and erected to its finished state. Usually, most of the sections are quite different from each other, and therefore are not “modular” except, perhaps, in dimension. 1. Quality: Built in a factory by a skilled workforce, our buildings are rarely exposed to weather or its extremes and are built to exacting quality control and inspection programs. 2. Speed: Often, a building can be conceived, bid, and erected in less time than more conventional buildings can be dried in. 3: Cost: Analysis shows that our prices have risen at a much slower rate than conventional cost; furthermore, there has always been a big difference in cost between conventional buildings and sectional buildings, especially when time value is considered. 4: Flexibility: For many users, the sectional building offers many times the flexibility of sites, usage, and durability than conventional structures. Often, it’s easier to build with sectional buildings than to remodel existing available structures. Building a beach house on an elevated concrete stem wall or pilings can be very complicated and time consuming. Conventional methods are slow when working above the base flood elevation. The greatest advantages of using factory fabricated modules are that 80% of the living structure is complete on the site specific foundation in basically one day. Keep landscaping simple for beach house settings. The relaxed atmosphere and sounds of the surf make a beach house a refuge and getaway for family and friends. Entertaining is the norm when you have a beach house, so outdoor areas must have attractive areas for dining and gathering. Where the beach house is located limits the landscape ideas for plants. Select those plants that grow well in your region of the country. Plants for beach house settings must adapt to this particular kind of environment. They must be salt-tolerant if they are in coast areas and must grow well in sandy soils. Beach houses on freshwater lakes have a greater selection of plants, but these may need to be cold-hardy in northern areas. Palm varieties look good in beach landscapes in Florida and North Carolina but cannot grow in zones below USDA Hardiness Zone 7, according to SunPalmTrees. Beachgrass, saltwort, pine and birch suit coastal areas like Massachusetts. Avoid plants that grow or spread quickly that will need constant pruning or removal of debris. Choose plants that are native to the area for best chance of long-term survival as well as fewer maintenance requirements. Softscapes are the live, horticultural elements in your landscape design. For a beach house landscape, curved beds give property a casual, relaxed feel yet hold plants neatly, according to University of Florida horticulturalist Gail Hansen. Vertical lines of tree plantings should break up long, horizontal structures of the house and provide shade for outdoor living areas. Bedding shapes can be added to break up large, uninteresting expanses. Use mulch and gravel instead of lawn grass for easy maintenance and low water usage. Lawn areas, if desired, should use native grasses or lower maintenance grasses suitable for the region of the country. Use the shapes and textures of plants like arborvitae or ferns to add interest. Hardscapes are areas in landscapes that do not contain plants but that contribute to the overall look of the property. Entry sidewalks, driveways, retaining walls and patios are all hardscape features that should contribute to the look of the property as a whole. Flagstone, pavers, concrete, gravel and stone are all hardscape materials used to separate garden and living areas and provide clean and organized surfaces for specific functions. Gravel gives beach houses a more relaxed look for surface areas than concrete but may be impractical for northern beach areas where snow removal is a concern. Pavers are used to make attractive walkways and driveways. Flagstone is a good look for pathways around beach homes, directing traffic throughout the property while maintaining a casual look. Beach living is by its nature easy-care, and landscape ideas for beach houses should include research for plants that need the minimum of care. Make patio and other hardscape areas easy to clean with a simple washing with a hose. 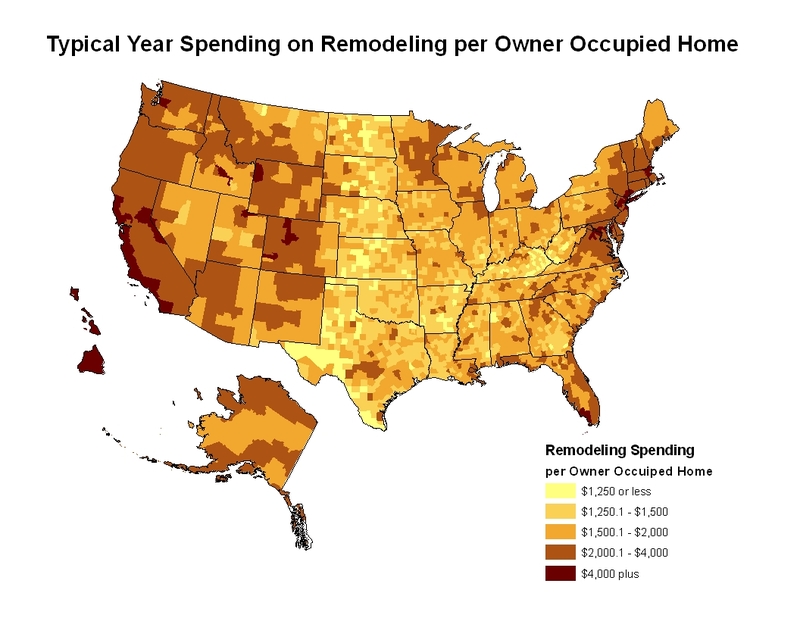 Or so says the National Association of Home Builders (NAHB) – This new video by the Building Systems Councils (BSC) of the National Association of Home Builders (NAHB) outlines the benefits of modular home construction — how builders can save time and money in today’s turbulent market by cutting overhead and outsourcing their construction costs. The video shows how modular construction can help builders maximize their output when operating with limited staffs and budgets. With modular construction, nearly 90% of a home is built in a controlled environment. 1) Know Thy Elevation. When you purchase a property, be sure to inspect the elevation certificate. While it is unusual, some properties may require that your first floor elevation (the height from the ground level to the top of your first living level) be 12′, 13′, and 14’ feet or higher. This may not be a deal killer, but the added height to the foundation level will add cost to your project. 2) Setbacks May Cause Setbacks Coastal lots, whether near ocean, lake or river, tend to be a tad smaller than their landlocked counterpart. As such, your setbacks may cause you some headaches in regard to locating a design that will work for you. Assuming you have a reasonable envelope to build within (a minimum of 24’ in width), you’ll have options for choosing a stock plan that will work. 3) Know Your Flood Zones Many coastal properties fall into flood zones. For the most part, this isn’t necessarily bad news. After all, getting close to a body of water is a large part of the allure of coastal living. You, however, do need to know how this may affect the cost of your building project. 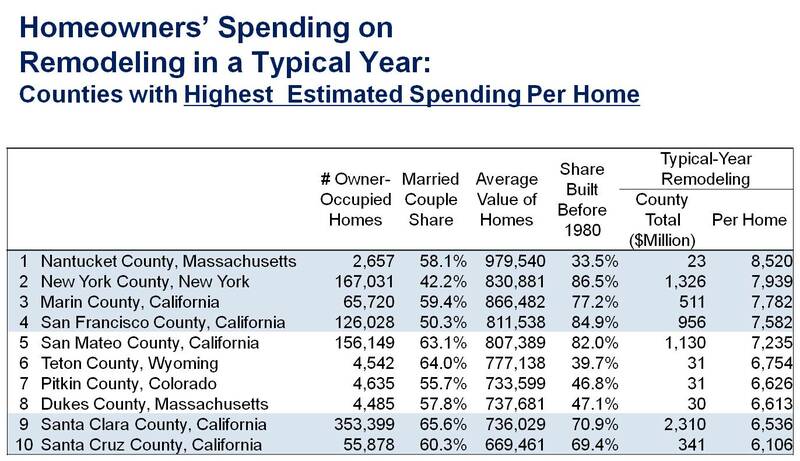 Generally speaking, building in a V Zone is the most expensive. V Zones are typically ocean front, or near to ocean front, properties. The building codes that apply to V Zone properties will add about 15-30% to the total cost of the construction project. Much of the added cost will arise from 1) the additional ties, straps; hold downs and anchors required by the building code 2) additional cost for windows with upgraded wind ratings and 3) added cost for elevating the structure. “A” zoned properties carry some of the same code requirements, but will generally only add about 10-15% to the cost of construction. 4) When Being Too Tall is Terrible Many coastal communities are amending their building codes to shrink the total height allowed for residential structures. The idea is to avoid the creation of “corridors of darkness” caused by an excessive number of tall structures on a residential street. This can be tricky, especially because of the need for elevated foundations. The height restrictions can range from 28’ to 50’. As you can image, this will have a huge impact on the design that you choose for your property. In some instances, plans can be modified to squeeze under a given height restriction – just be sure to do the math before you purchase your plan. 5) Be Coastal, Not Cookie Cutter At the risk of being obnoxious, here’s some sage advice for choosing a design for your coastal property. When choosing a design, take into consideration where your residence will be situated. If you’ve moving onto an island, please don’t build a mountain chalet, no matter how nice the A frame windows capture the view. In the same vein, subdivision-style homes (Colonials, Georgians, Federal-style, etc.) probably won’t work either. You have a wonderful opportunity to build a home that looks just right on your lot. There are dozens of coastal architectural options to choose from, so why not avoid the every day and pick something with style? They’ll have a working knowledge of the construction methodologies unique to coastal home construction. If they’ve been around, you’ll be able to walk through homes they’ve built – when it comes to quality promises’, seeing is believing. 7) Don’t Go Cheap on Materials We’re not suggesting that you import the most expensive tile from Italy or buy absolute top-of-the-line windows. We would recommend, however, that you avoid cheaping out on materials that are exposed to the elements. This would include: the roofing material you specify, the quality of window you choose, the grade of paint you pick, the decking material you buy and the type of ceiling fans you install. The coastal elements are famously tough on building materials – if you try to get by with lesser materials, you’ll lose the saving you realized by having to replace them inside of three years. 8 ) Details, Details One of the first things your builder may want to talk you into is the elimination of all the “frilly” trim work shown on your set of plans. He or she will make a case for saving money and time by simplifying the design for the fascia boards, balustrades, gable trusses, cornice work, under-eave brace supports, eyebrow dormers, etc. Some compromise is OK, but be careful not to eliminate too much. Often, it’s this type of detail that gives the design its coastal look and feel. 9) Build an Outdoor Kitchen One of the joys of living on the coast (whether your coast is lake, ocean or river) is being outside. Over the past five years we’ve seen the introduction of hundreds of great products that make building your dream outdoor kitchen easy and affordable. Why not expand your usable living space to include the great outdoors? 10) Don’t Forget the Flowers Whether you do it yourself, or hire a professional, get started with beautifying your property with landscaping. You’ve endured 6 – 18 months of dirt during the construction of your home, you deserve this. Adding landscaping, whether it’s formal or casual in design, will make your house instantly feel like a home.